Description [on front] Kodak safety film 5063, 1A - 20A. Note by Claire Kellogg: Library staff, 1976 or 1977?. Left row: director, Carol Hildebrand. 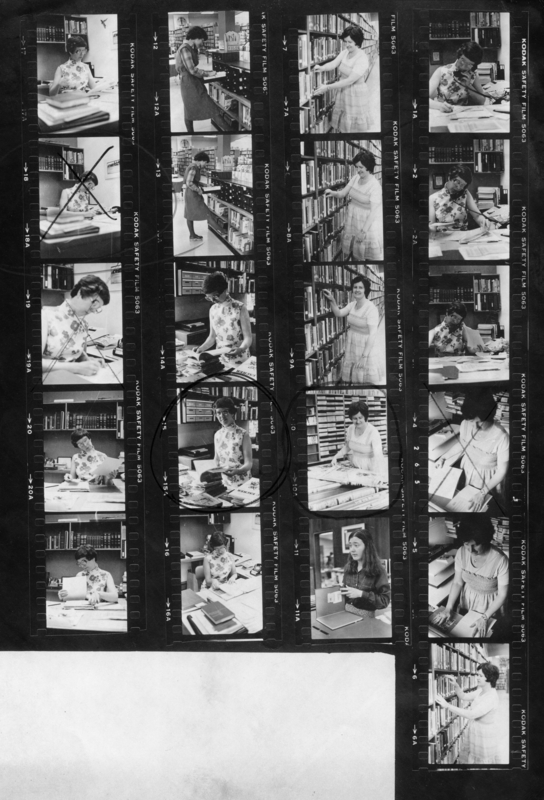 2nd row, top: Mary Norman, children's librarian; bottom: Carol Hildebrand. 3rd row, top: Anna Anderson, secretary; bottom: Beth Daugherty, clerk. 4th row top: Carolo Hildebrand; bottom; Anna anderson. Includes negatives.